A unique 16mm Film Diary Archive - circa 1920s - 60s. The Alexander Archive is a unique and fascinating 16mm film diary recording for over 44 years the lives of an upper class family throughout the twentieth century. It consists of 13,000 feet of previously unpublished 16mm cine film - carefully preserved - the film reels are still in their original dated Kodak boxes, accompanied would you believe by the original projector and case, still in fully working order. Miss Alexander died in 1983 - her camera, projector and films were discovered in the attic of her house in the Wirral. The clearing of the house was left to her nephew, Gemmell Alexander, who as he terms it "binned the film, projector and camera" and sentenced it to the auction rooms. The camera, which was by now "knackered" due to the extensive amount of celluloid that past through its gate, was sold off separately. A Chester man bought the projector and film footage for his son Tom Barham , all stuffed together in dusty old cardboard boxes. Like most relics the journey of the old films was destined for yet another dark attic in Ruthin and thanks to tom it was preserved for yet another 13 dusty years before seeing the light of day. Then in August 1996 Tom, advertised the old films to go to either one good home or many. As he joked "it could end up in a car boot sale for 50p a can at the weekend" - and it was Thursday! Valleystream quickly rescued the squealing cans of film and projector. It was some time later before any work began on the long and arduous task to research its origin. Having to start, of all places, on the other side of the world in New Zealand before chasing down Gemmell, who was only 100 mile away in Cumbria ! Researchers at ValleyStream Studios discovered the unusual name 'Towle' written on a 1952 film reel shot in Auckland, New Zealand - the time frame being 50 years on. They rang up international directory enquiries and were surprised to find a living Towle still over there. The first person ValleyStream spoke to on the telephone turned out to be the cousin of Simon Towle, now a scientist with the World Wildlife Fund in New Zealand, who appeared in the film footage as a toddler. Simon's mother Hilary had been brought up by her aunt Miss Alexander! - the camerawoman. Then there was a phone call at 3am in the morning UK time from Simon himself, who was totally stunned with emotion to hear about the discovery of the 16mm motion picture archive, containing most of his relatives and his mother, who had recently died. Simon Towle put Stef Bate the producer in touch with his uncle Gemmell, who appears in the films as a child and who was equally astonished to find the dusty old footage had turned up 13 years later (Gemmell admits to being the culprit who job-lotted it away when his Aunt died). Now living in Cumbria, Gemmell is in his eighties and has been enjoying working on the Archive with ValleyStream ever since. The camerawoman was Miss Alexander - Miss "A" for short - a wealthy young girl, who used the latest technology of her day: a Cine-Kodak B B Junior 16mm clockwork camera,each wind gave only 29 seconds of shoot time, and she never used a tripod - being wooden (probably made of ash) they would have been too heavy for her - instead she often used the nearest available fence post. 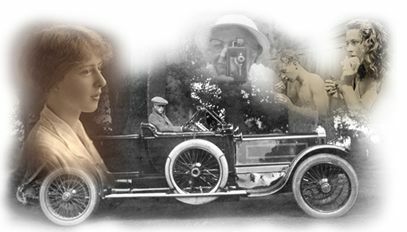 She filmed extensively from the 1920s to 60s, first using black and white film, then using colour from 1937; her footage shows the development of Kodak film stock. 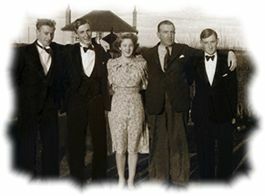 Miss A's movie footage records many aspects of the twentieth century in Wales, England, and abroad, even filming specific world events, such as: Hitler and the Nazis at Nuremberg in 1934; George V's Silver Jubilee celebrations in 1935; young Queen Elizabeth's visit to New Zealand in 1953; and the film set in Wales for Ingrid Bergman's 1958 movie The Inn of the Sixth Happiness. Film experts throughout the UK are now classing the film archive as a rare find and a national treasure, and the British Film Institute along with a number of other respected organisations are very eager to acquire the whole collection. ValleyStream Media Developments, an AV/Film production company based in the Conwy Valley, North Wales, and producers of special interest media, have been carefully restoring, researching and developing the Alexander Archive over the last 6 years. Finally launched in spring 2002, the discovery of the collection featured throughout the national press and on the Richard and Judy show, etc. A hi-tech cleaning and restoration unit was devised to clean and repair the film at the Studios, nick named the 'Raspberry Blower' because of the noise it made as the film passed through it. Producer Stef Bate, production assistants Ange Davies and Jan Foulkes spent 8 weeks working with the unit on the difficult task of restoring the film. Accompanying the film archive there is also a small collection of period photographs which have been beautifully restored using digital technology by imaging assistants Janie Chaloner and Vikki Lane. Miss A with her trusty Kodak BB Junior 16mm cine camera in her 70s - still shooting film! ValleyStream and the BBC have just finished producing four TV documentaries based on the Alexander Archive. The mini series was shown on BBC1 North September 2002 - featuring on the " Inside Out" programme for three weeks. A 30-minute special documentary was screened nationally on the BBC 2 July 2002. Miss Alexander was born in 1893 into an affluent Liverpool family; her father and brother were partners in an accountancy firm, Harmwood Banner, which is now established worldwide. Her sister-in-law, Winifred, had been a close friend of the Prince of Wales (future Edward VIII) in about 1914 during his studies at Oxford. They picnicked and went partying together, with Edward coming to pick her up in his Bentley. The young Prince gave Winifred a signed photograph of himself. This shows the affection he had for Winifred. Why they never continued their close bond is unsure, but could Winifred have been the Prince's first love? Prince Edward went off to war in 1914, and "Winnie" returned to the Wirral as a nurse where she married a childhood admirer - a wounded soldier called Harold Alexander. They had 4 children then tragedy struck a cruel blow - Winifred died suddenly in 1930, her bereaved husband and three sons (Gemmell, Stuart and Donald) and daughter (Hilary) came to live with Miss Alexander in the Wirral. This new family unit already had several domestic servants, including a cook, cleaner and chauffeur. One of the house workers, Miss Hopley, became Miss Alexander's housekeeper and companion, eventually staying with her for over 40 years. With the children being a handful, Miss A also took on three governesses (Olga and Erica from Switzerland, and Anne-Marie from France). Where-ever Miss Alexander went, her camera was always in her hand. The boys eventually went to Sedbergh School in Cumbria, where she filmed them running during the annual 3- and 10-mile races at Sedbergh which are still run today. She shot also traditional scenes around the Wirral and in North Wales such as sheep-shearing by hand and horse-drawn ploughing; the Mersey Ferry and Liverpool docks; military parades at Sefton Park during George V's Silver Jubilee in 1935; HMS Conway (a Royal Navy training ship which floundered in the Menai Strait); barges being towed down river; and a 1930s film set in Richmond. The family also travelled abroad, and the cine camera went along too. In 1934 they travelled down the Rhine to Germany where she just happened to film Hitler and parading Nazis during a rally in Nuremberg from an upstairs window. Equally strange and still under investigation, she filmed German aircraft on airfields - not really your usual tourist scenes. Was there more behind all this? Back to reality, she recorded scenes of horse-drawn carts on Sark and fishermen loading nets onto a handcart in Majorca. In 1938 she toured France, filming everything in sight! The Alexanders loved their pleasure and owned an idyllic holiday home at Trearddur Bay on Anglesey where Miss Alexander carried on her second passion, sailing her half rater boat. The Bay was a holiday hotspot for many wealthy Liverpool families, including Nicholas Montsarrat who wrote 'The Cruel Sea' in 1951. Along with the Alexanders he was a member of the Trearddur Bay Sailing Club. Their main boat was named 'Dot' after a close friend of Miss Alexander (Dorothy Dowding). Then war broke out - and Anne-Marie who was now probably part of the French resistance saved the life of Gemmell when he was serving in the 51st Highland Division. He failed to make it to Dunkirk and was stuck five miles behind enemy lines near Rouen. He had to shoot a German soldier who tackled him and escaped to Nantes where Anne-Marie was living with her mother and child. She hid him in her attic for two months despite the considerable risk to herself, her family and neighbours, who could well have all been shot if the Nazis had found her hiding a British officer. Gemmell was eventually smuggled onto a Polish trawler - bombs exploding by its side from German Stuker dive-bombers - and managed to escape to England. He bumped into his father in a country lane, who announced they all thought he was dead! Gemmell went on to become a major and led the British troops in liberating Italy. Miss 'A', Hilary and Donald sailing 'Dot' on the Welsh coast! The second nephew, Stuart, was in the Cheshire Yeomanry. During the War he wrote to his sister, Hilary, as he moved around between army bases in England, Ireland and the Middle East. In his 30 or so letters, which are now part of the archive with ValleyStream, he longs for the peaceful enjoyment of his childhood at Trearddur. He was against the war until he realised that if the Nazis invaded Britain his family could be shot murdered and raped - sadly, Stuart never saw his beloved Anglesey, Coppermine Creek or his family again - he was killed at the Battle of Alamaine in 1942 (aged 22) after stepping backwards onto a land mine whilst guiding a truck through a minefield. Gemmell was also fighting in the battle as one of Monty's majors but he didn't know his brother was only a mile away at the time; he was called over to bury his brother and collect his possessions. This was to be a landmark tragedy within the Alexander Clan, and was the end of an era when as four kids they played so innocently at Coppermine Creek - the dreaded reality of the war Stuart so poetically feared had finally struck an evil blow to the flow of his ink and his unfulfilled life! A shear waste, like many robbed by, ironically, the very man his Aunt, Miss Alexander, had filmed only a few years earlier in Nurumberg, Germany - Hitler! The niece, Hilary, joined the Wrens and undertook special duties. In fact she was a code breaker at Bletchley Park during this time, and received 3 war medals in 1989. After the 50 year silence she was informed that she could now talk about her war work - but she never did. Not even her husband John ever knew what her actual role was - and she died 2 years later. Hilary was buried with the Union Jack and her silence went with her. The role of these Wrens or "chicks" was kept very low key so as not to attract the attention of possible enemy agents in the UK. Many of the girls were in fear of there lives, scared to such an extent that they never discussed, even with each other , their particular role within the Bletchley Park walls. Even after the war had ended they still felt threatened and hid so well their secret activities for much of their lives! Catherine Caughey, one of the Wrens, said Hilary must have been a top notch code breaker to have been released so late in 1946. Catherine has written a book called ' World Wanderer' on her own life , including the times she spent working at Bletchley Park. One of Miss A's very close friends was Dorothy Dowding, who also lived with her at one point. It now seems that her husband, Commodore Dowding (Royal Navy), was a key member of Churchill's War Cabinet and recommended Hilary for her work at Bletchley Park - as more stones are unturned the war effort connections with the Alexanders deepens! It all adds to an already amazing story! Miss Alexander travelled extensively throughout her life, always shooting the occasions on camera. She visited Curacao, Panama and Cape Town, then in the 50s and 60s she made several sea-journeys on luxury liners like the Classic "SS Oriana" (now a floating theme park and museum in the Chinese port of Dalian) and the "SS Camberra.On these ships she sailed to visit her niece, Hilary, who went to live in New Zealand, and she toured throughout New Zealand and Australia. Although Miss Alexander recorded street life and landscapes, she had an eye for ships, cars and machinery, etc , so her footage shows such items as the rack and pinion engines of the Panama Canal, mining steam dredgers, and Bentleys being winched aboard ship. In the Wirral Miss Alexander was a noted personality. In 1946 she became the first woman councillor for the Heswall/Oldfield area and the first woman chairperson of Wirral Urban District Council. She had a local community hall built for elderly people which was named after her (the Alexander Hall), and she was an active member of the Soroptimists. 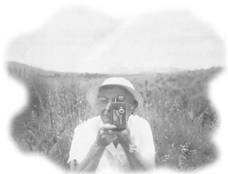 In 1983, after several years in a nursing home, Miss Alexander died, aged 89, which brought to an end her amazing love affair with a Kodak motion picture camera. Hilary, her niece, travelled to New Zealand in 1951where she met and married John Towle. He was a representative on the Bicultural Commission for the Anglican Church, and was involved in resolving historical grievances between the Maori People and Non Maori over land. Hilary continued to sail, going to sea with Sir Peter Blake in 'Lion New Zealand' (a yacht which he sailed in the Whitbread Round the World Yacht Race). She died in 1989. Her daughter, Susan, and son, Simon, still live in New Zealand today. Sadly Sir Peter Blake was shot dead in 2002 on his yacht by pirates while sailing down the amazon a tragic end. The youngest nephew, Donald was a gifted sailor, eventually becaming a doctor. He moved to Suffolk, where Miss Alexander filmed his growing family - Anne-Marie's daughter (Marie-Francoise) came over from France to look after his children. Donald died in the 1990s. Gemmell, her eldest nephew, became an explorer and collecting specimens for the British Museum. He is the only surviving military MBE left in the UK, and rose to the rank of major during WW2 whilst a right hand man to General Montgomery. Both during and after the war Gemmell came into contact with many influential people. He entered Colonial Service in 1946 and lived abroad for many years. Now in his eighties, Gemmell is the only remaining survivor of the original Alexander children from the film footage and is still active today. He has also been involved in recent filming for the joint ValleyStream/BBC television documentaries. During filming in August 2002 on Anglesey, Gemmell was reunited with the children's old boat, 'Dot', which he had last seen over 60 years ago. 'Dot' is still based at Trearddur and going strong; in fact, she even wins sailing races for her present owner - Gemmell says he was always more interested in fishing for lobsters! Hilary escaped to New Zealand away from a broken romance.